VUE xStream offers professional CG artists a complete toolset for creating, rendering and exporting exceptionally rich and realistic natural environments in 3ds Max, Maya, LightWave, Cinema 4D and Softimage. 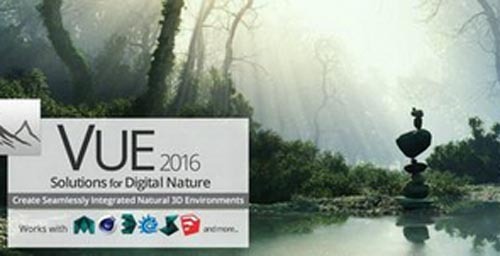 Access all the power of the world�s leading 3D Digital Nature solution directly from within your favorite application. Create and edit beautifully detailed natural environments using your application�s standard manipulators. Render everything together inside 3ds Max, Maya, LightWave, Cinema 4D or Softimage, with full interaction between VUE and native elements, including 2-way mutual shadow casting, reflection, refraction and GI. VUE xStream provides a unique, unmatched solution for creating and integrating high quality natural scenery into any professional production pipeline, from architectural visualization to broadcast and film. 1. INSTALL: Vue xStream 2016 PLE � Personal Learning Edition, and do not start ! 2. START ACTIVATION: to Convert PLE to a Full Version � before applying the update, or it won�t Install ! Failure to read, and follow instruction may cause problems ! Failure to remove PLE from Install Folder names during PLE Setup � may cause Plugin problems, because plugins will be unable to find the renamed PLE Folder, and also uninstall won�t work. Select all Plugins on first install. Restarting PLE Setup to add plugins may cause problems, and require uninstall. 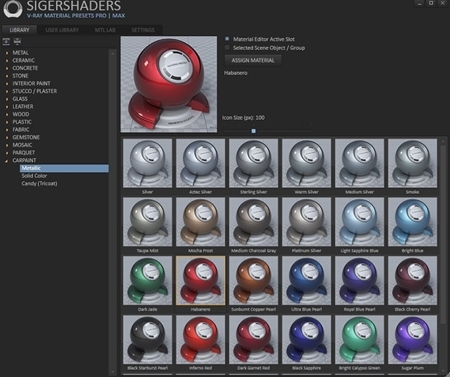 Hypervue and RenderCow are Activated, and the repacked RenderCow Pack has 294 Render Cows. If RenderCow Update problem then Restart Activation. LINKED WITH VUE: May not work with 2015 versions of Vue programs, and only work with 2016 R2 Vue Products. PROBLEMS: RUN CLEAN TOOL PROVIDED, and Reinstall ! If you like the program then buy it to help support development ! The Activation tool says "This installation is password protected" and won't respond to any passwords.